Jeremiah Paul Damron, center, during his arrest last year on suspicion of homicide. Jeremiah Paul Damron, who is charged with first-degree murder of his mother last summer in Cortez, pleaded not guilty by reason of insanity on Tuesday. The plea sets in motion a mandatory mental health evaluation to determine whether he was insane at the time of the slaying. No finding has been issued by the court on the validity of Damron’s insanity defense. Montezuma County District Court Judge Todd Plewe ordered Damron into the custody of the Colorado Mental Health Institute at Pueblo, where he will be evaluated. Plewe denied a request by Damron’s lawyer to have him evaluated by a team of doctors from the University of Denver. At the end of the evaluation, which is expected to take months, a report and recommendation from the doctors on the insanity claim will be issued to the court. “In a not-guilty-by-insanity defense, doctors determine if a defendant knew right from wrong at the time of the offense,” said 22nd Judicial District Attorney Will Furse. If they determine he was insane, their recommendation will be reviewed by the district attorney and judge. If the prosecutor and judge agree, the judge can make a finding of not guilty by reason of insanity. At that point, Damron would be committed to the Colorado Mental Health Institute, and could be released only at the recommendation of doctors. If there is disagreement on the recommendation, a mental health evaluation could be sought, or the case could go to trial. If the recommendation finds that Damron was sane at the time of the slaying, defense attorneys could seek another evaluation. If deemed sane by the court, the case could then go to trial, or a plea bargain negotiated. 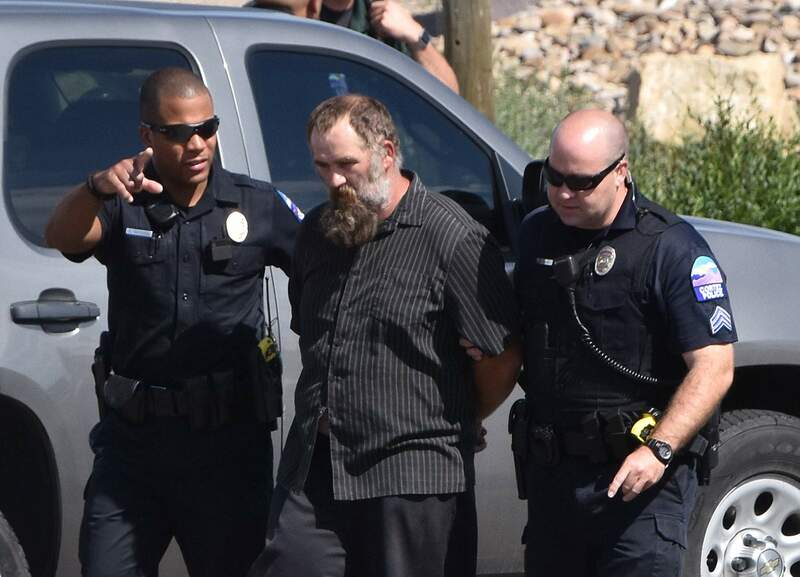 On Aug. 1, Plewe ruled that Damron was competent to stand trial for the murder of Kristie Damron, 62, whose body was found beaten and burned in his backyard outside Cortez. Plewe’s decision ended a competency hearing with three expert witnesses, two of whom had evaluated Damron this year and found him competent to proceed to trial. One of the three expert witnesses found him incompetent in 2017. All three stated it was possible that without ongoing treatment, Damron’s bipolar disorder could deteriorate to the point that he was no longer competent to proceed. None would speculate about his current level of competency. Arguments in the Aug. 1 competency hearing often turned to Damron’s diagnosis of bipolar disorder and the amnesia that he says he suffered at the time of his mother’s death. The expert witnesses emphasized the dynamic nature of his bipolar episodes, and said they could resurface during a trial. Furse argued that Damron met the Colorado standard for competency – understanding the legal proceedings and assisting in his defense – despite his bipolar disorder and amnesia. While acknowledging that Damron’s competency could change if his mental condition deteriorated, Furse argued that previous rulings found that amnesia did not prevent defendants from assisting counsel. Defense attorney John Moran argued that Damron’s amnesia rendered him incompetent to proceed, in part because art, he could not recall the facts surrounding his mother’s death. For Plewe, the case came down to the 2001 Colorado Supreme Court decision in People vs. Palmer, which found that amnesia by itself does not constitute incompetency unless it rendered a defendant unable to understand the proceedings or assist in his defense. Plewe said Damron met the standard for competency even if he had experienced amnesia. Damron, now 37, was arrested on North Sligo Street by Montezuma County Sheriff Steve Nowlin and two Cortez police officers on July 20, 2017. Nowlin said officers had responded to a report of a homicide at Damron’s mobile home in the 7000 block of County Road 21.75, near County Road G.
The body of Kristie Damron, was found in his backyard that morning. Deputies confronted Damron the night before the arrest in response to a report of domestic violence. Nowlin said deputies were able to remove Damron’s wife and son from the property. Damron was charged with first-degree murder on July 28, 2017. The charge carries a minimum sentence of life in prison.